I have found Voltrex service excellent, their dealing platform is perfect, and administration of payments, communication etc really good. 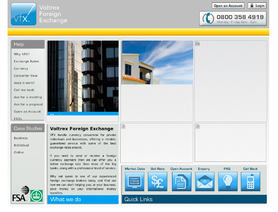 Voltrex is the only Firm that I have found that has taken great technology and applied it to the deliverable space. Anybody who needs to pay and receive FX should seriously have a look. Doesn't seem to be set up for speculative - although I a told that it is in the pipe line.